A family brand of olive oil from Greece needed to make an effective launch to Ukrainian market. The gazette was created to spark a word-of-mouth and to become an effective image tool to conquer new points of sales. 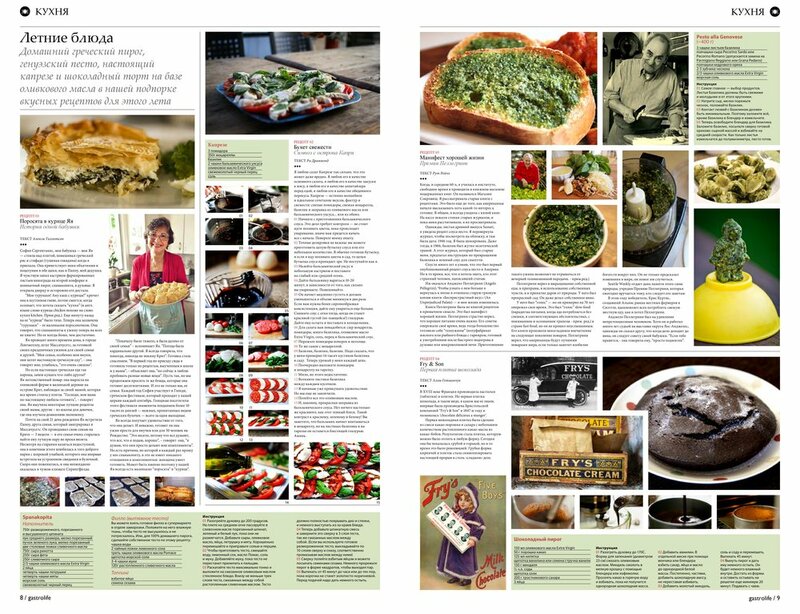 The gazette is a valuable source of trusted information about health, recipes and beauty tips for the olive oil consumers, as well as a easy to understand source of information about the brand.